Window boxes and hanging baskets are a great way to improve the look of your home. Sometimes when space is limited they may be the only place for growing flowers. The ideal site will be one where it is sunny for most of the day, but even if the window boxes are on a shady north facing wall there are plenty of flowers for these conditions. This article which I found on the Garden Lovers Club website describes ten of the best. In this guide, we will take a look at 10 different plants that will thrive in a shady window flower box. We will discuss how each one looks and the type of care that it will need to grow in the space. This is a bright annual plant that produces beautiful blooms that are typically pink, purple, or red. They do not like a lot of direct sunlight, which will make them a great option for a shaded window box. In addition, when you water these plants, make sure that you give them enough water so that the soil remains moist because a lack of water will cause the flowers to wilt. You will want to plant these flowers close together because this will encourage them to grow even more. Begonias are a plant with wax-like leaves that are unique and attractive, especially when they are surrounded by bright red blooms. 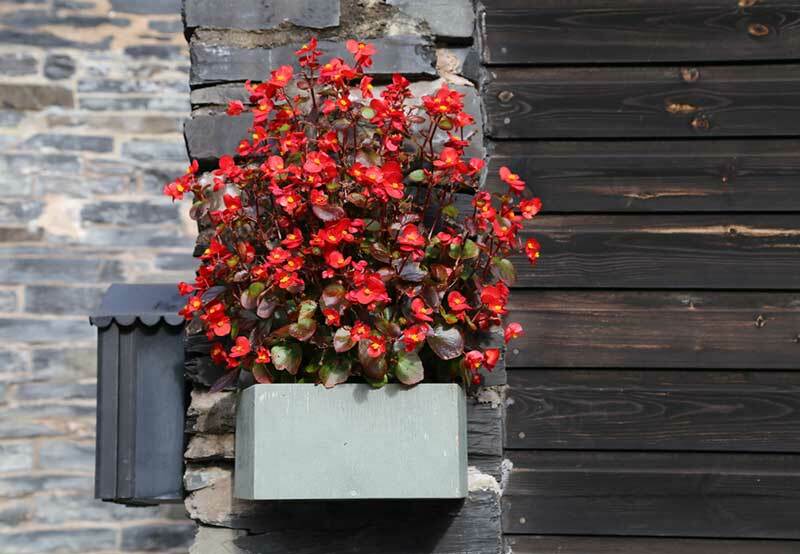 These plants grow best in the shade, but if your window box is located on the sunny side of your home, then you will still be able to grow begonias. However, any window box with afternoon shade will be ideal. They also like well-drained soil, so make sure to keep that in mind when you are watering the plants. 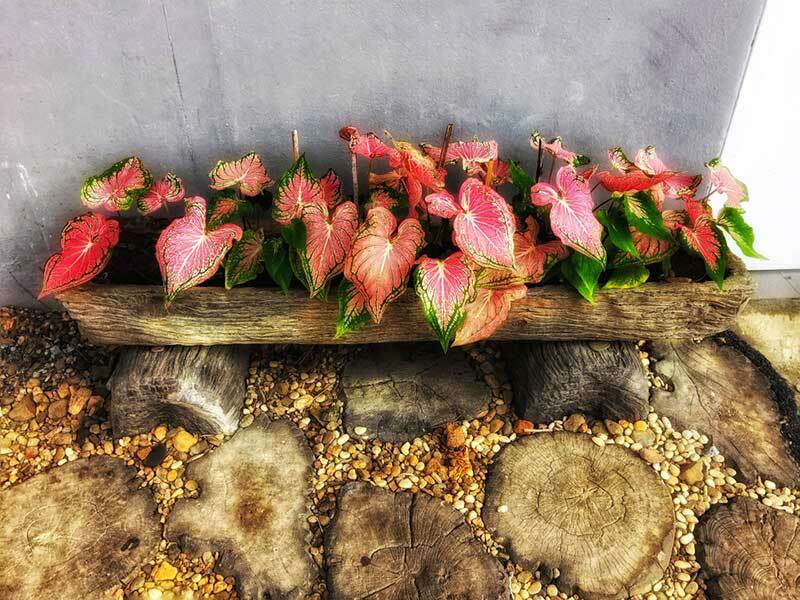 If you are looking for a plant with extremely colorful leaves that will do well in a shady window box, try planting caladiums in this space. The foliage, which is typically shaped like a heart, will grow in shades of red, pink, white, and green. These plants tend to be pretty carefree and easy to maintain. They grow best in shady areas and well-drained soil, but if you find that the plants are not thriving as much as you’d like, add a mushroom compost to the soil. 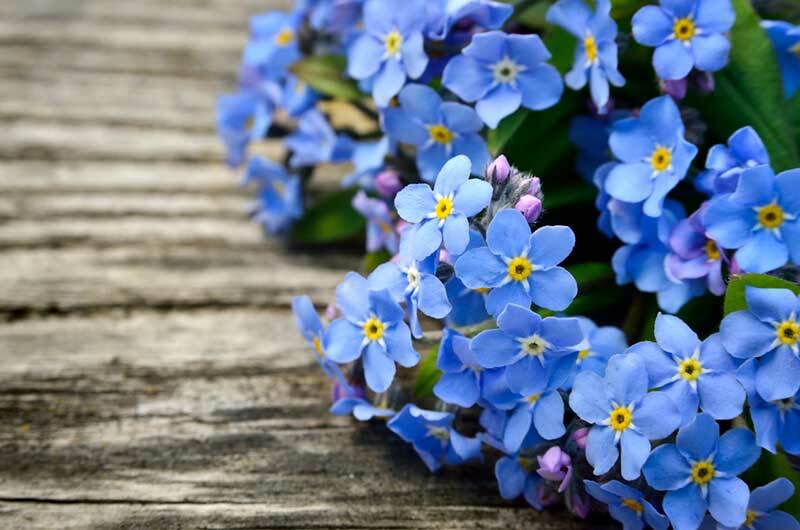 These plants often have bright blue blooms that are small and dainty, which will add quite a bit of character to your window box, especially if they are paired with a few slightly larger flowers. This is a plant that likes a lot of humidity, but they will grow and spread best in the shade. On occasion, the blooms of these flowers will be pink, which can be a wonderful surprise in your window box garden.